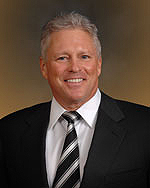 John Goyak has been a leader and innovator in new business development for more than 25 years. His passion and commitment to making a difference has led him to develop a set of methods and tools and a system of thinking that has provided high payoff in Government and commercial arenas. His drive to constantly improve has not only led to innovative processes and products, but has also led the formation of partnerships to synthesize breakthrough capabilities to apply to new areas creating a major competitive advantage. Mr. Goyak is routinely called upon to provide critical strategic thinking and a game plan to capture contracts worth up to tens of billions of dollars. Mr. Goyak is a passionate and high energy leader, innovator, and coach. He attacks challenges with a vigor that is contagious and has made remarkable differences for his clients and has provided a whole new energy and skill set to individual client team members. Mr. Goyak is driven to make a difference. More than $150B in new business wins and industry leading innovations in win strategy development, training, teambuilding, coaching, and corporate reengineering is a record that speaks for itself. Lisa is an accomplished Human Resources and Business Operations executive with over 15 years experience supporting companies in the aerospace and defense industry in workplace planning and employment, consultant deployment, employee and consultant engagement, new hire orientation, employee relations, and staff development. She spearheaded innovative initiatives and designed programs to enhance employee morale, build productive intra-company communication frameworks, and enrich our consultant workforce with skill sets most in demand by our clients to match changes in business climate. She participates in developing and updating rates, talent management standards and practices, and performance standards to ensure high value services for clients. PHR certified in Human Resources, Lisa cultivates employee ownership and accountability, achieving this through proactive engagement to set and monitor goals and provide meaningful feedback focused on individual performance improvement and growth. Lisa also manages the company's security program. Adrine, who joined the Goyak Group in 2003, has been instrumental in helping guide the company during its growth over the past decade and its recent evolution to keep pace with the dynamic changes in the federal contracting climate and its effect on our clients. 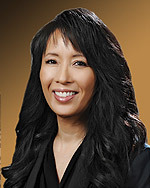 She is responsible for negotiating, initiating, and managing all contracts and associated documents across our diverse client base, which includes large federal government contractors, commercial firms, and mid-sized and small business enterprises. Adrine also participates in developing and updating rates and pricing methodologies, contracting standards and practices (e.g., conflict of interest), and performance standards to ensure high value services for clients. She proactively communicates with client technical and administrative points-of-contact to ensure compliance on all contractual terms and performance exceeds client expectations. Working with other members of the Goyak leadership team, she applies lessons learned, both positive and negative, to drive continuous performance improvement. Adrine also serves as Corporate Secretary for The Goyak Group, Inc.
Tony serves as the Chief Financial Officer for the Goyak Group. An experienced finance executive with over 25 successful years of senior leadership in public and private organizations over a variety of industries including: government contracting, healthcare, professional services, technology, and construction. Tony demonstrated the ability to take complex financial transactions and entities and identify the key economic drivers, develop financial goals and implement the relevant reporting and monitoring systems to achieve extraordinary growth. Prior to joining the Goyak Group, Tony was the Chief Financial Officer for several start up and growth companies. Tony led several successful financings aggregating over $350 million, both debt and equity, private and public. 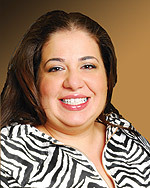 Crystal Villarreal serves as the Senior Vice President of Solutions Engineering of NextLevel Performance Solutions, Inc. A proficient leader with more than 25 years of experience in the government and commercial markets directing, managing and executing integration of technical activities. Crystal has worked for several Fortune 500 companies at various levels across the globe. During her time with the government, Crystal worked with several executive teams throughout the military, solving critical issues for the warfighter. Her innovative skills were put to the test as she led her team to network infrastructure re-design, integration, implementation and execution management of the unclassified and secure computer network for the Pacific Air Forces enterprise area of operations. Crystal continuously demonstrates her unique ability to solve difficult problems to gain maximum return. No problem is too diminutive or complex for her to solve. 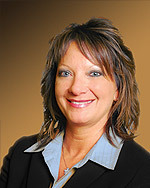 Prior to working for the Goyak Group, Crystal worked for the AFC2ISR Center of Excellence as Technical Advisor to the Director of Operations for the Air Operations Center and as a Director of Reports and Analysis supporting the OSD JT&E solving a joint services issue with air space control measures, which was finished ahead of schedule. Crystal has an Information Systems Management Degree from University of Maryland with a minors in Computer Science and Management. Crystal is an accomplished leader who takes challenges to the next level. 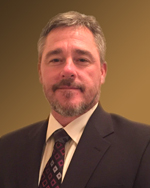 Rob Nash joins The Goyak Group, Inc. (TGG) as Manager for Signals Intelligence Programs. He has worked a multitude of government programs as a capability developer, science and technology strategy advisor, source selection, and requirements crosswalk verification. He has extensive knowledge of Aerial Intelligence, Surveillance and Reconnaissance (AISR) Programs. He has over 27 years of Signals Intelligence (SIGINT) experience which includes portfolio management, investment/divestment strategy, and asset employment. 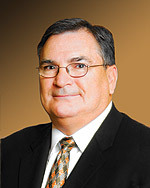 Prior to joining TGG, Rob was employed at the Training and Doctrine Command's (TRADOC) Capability Manager for Intelligence Sensors at Fort Huachuca, Arizona, responsible for supporting requirements for AISR systems (architecture, mission computing, integration, CONOPS, P3I) on the US Army's aerial ISR fleet. Rob’s primary role with TGG is Team Lead on all SIGINT-related activities and will provide Subject Matter Expertise for Signals Intelligence, Cyber and Aviation asset management to TGG, as well as manage the use/involvement of technical resources required to support account development throughout the client relationship, and apply the government acquisition cycle and processes to educate client teams with leveraging technology solutions. With over 20 years in the business, we have the experts and knowledge to create lasting change.